IMDB wrote: Based on the Terry Pratchett novel. 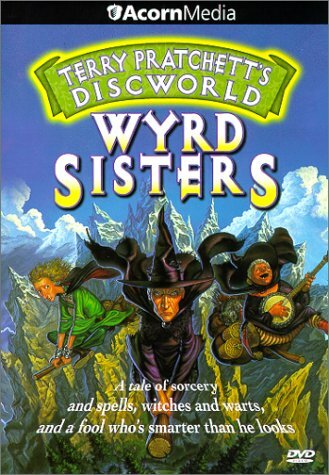 On Discworld, (a world carried on four elephants standing on a huge turtle travelling in space), in a small country called Lancre, three witches, the flowery Magrat Garlick, the lively Nanny Ogg and their leader Granny Weatherwax find themselves dragged into royal politics. The king of Lancre, Verence, has been murdered by Duke Felmet and he has taken over control of the country (but he is trapped under the control of his over-powering wife - the Duchess.) However there are two problems, firstly the Duke hates Lancre and the actual kingdom of Lancre is pressing the witches to find a king that would take better care of it. The second and bigger problem is that Verence's baby son has escaped and has fallen into the hands of the witches prompting the Duke's fury towards the witches. The son must be protected but Granny doesn't want to get involved with the situation but it looks like she doesn't have a choice in the matter..
Moby Gmaes wrote: This adventure game puts you in the shoes of Rincewind, a wizard whose sole purpose in life is to stay alive. He appears to be very good at it as well, because apparently the universe has decided to continuously challenge him. 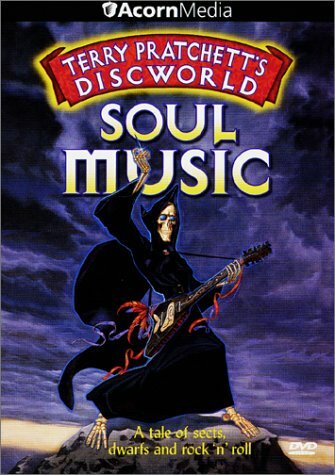 The game takes place in the insane fantasy world created by Terry Pratchett, one of this world's most humourous authors, and is generally nuts. Moby Gmaes wrote: This is the second Perfect game set in Terry Pratchett's Discworld; there's also the first Discworld and the third, Discworld Noir. The game's storyline borrows primarily from Reaper Man, with elements from among others Pyramids and Moving Pictures. Death has taken a holiday, and it's up to Rincewind to bring him back or suffer the fate of immortality. Moby Gmaes wrote: This is Ankh-Morpork, a city surrounded by darkness, where the cold river Ankh flows, where it is always raining, and where dwarves and trolls co-exist with mysterious societies, religious fanatics, stupid police captains, and bar pianists. It is also where a bitterly sarcastic sharp-eyed PI Lewton tries to earn a living solving bizarre cases. A mysterious woman named Carlotta hires him to find her lost lover. Wandering through the dark city and gathering evidence, Lewton has to solve the case, confront a sinister conspiracy, and once again become torn between love and despair. "Discworld Noir" differs from other Discworld games not only because of its much more serious tone and dark Film Noir-style atmosphere, but also because of its gameplay. Instead of inventory-based puzzles there are clues, which Lewton writes down in his notebook and which should be then used whenever there is a connection between the clue and the situation in question. Wow. I didnÂ´t know, there were movies made from his books. If you grab any just post if it came down properly..... once the movies are verified.. we can move thread into high quality section or collections or whatever. Well I'm getting the 27 audio book collection archive.. mabey you should grab the singles? I don't have .rar of these but I could make them if there is a call for them. I got these from DC. P.S. 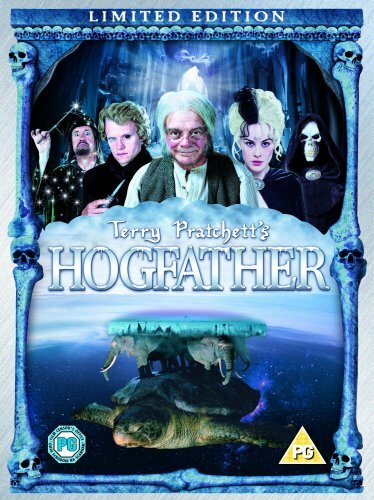 : Though technically a TV Mini-Series I also post this in TV Series since there is talk about SkyOne having the rights for more Terry Pratchett books - turning this into a series. If mods don't find it appropriate here - just remove it. User Comments...: Perfect to the very last detail! A tiny bit undersized for afr. but looking good. It's a two-parter. ed2k-links and the second part will be added within the next two days.